Thanks to Legal Reader for publishing “Transparency + Truth = Trustworthiness”. At a time when this citizen sees all three branches of the Federal government under worse leadership than I have seen since coming to Washington in 1965, Americans need “all hands on deck”. I appreciate Legal Reader getting the word out on what is happening and what is needed to make America a Safer America. Legal Reader has published an article I submitted on the Republican bill unveiled yesterday. This Republican bill would result in tragedies for millions of American people and their families. Only if enough Americans voice their objections can this be stopped. Investigative Reporters and Editors (IRE) has published an issue that our readers should know about “Covering Trump”. It has resources, such as “Following the FOIAs”, that we can use to resist efforts to weaken “deregulate” safety regulations and agencies with missions to protect the public health. Thanks to USA TODAY Network for superb reporting on cruel and inhumane trucking abuses that are tantamount to imposing economic slavery on truck drivers – in the 21st century in the U.S.A.
“Hundreds of California port truckers have gotten into accidents, leading to more than 20 fatalities from 2013 to 2015, according to the USA TODAY Network’s analysis of federal crash and port trade data…. Kudos to investigative reporter Brett Murphy and photographer Omar Ornelas for this piece on corporate greed and power and governmental indifference that endangers us every day. While working at DOT staffers and I sometimes wondered how the 11 hour rule would be shorter if every member of Congress and every political appointee were required to spend a week riding with a truck driver. 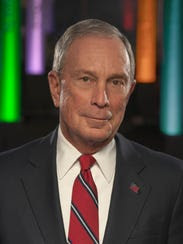 The Detroit Free Press carries an article and video by Michael Bloomberg urging auto companies to build safer vehicles in other countries to save more lives. “Many developing countries have lax vehicle safety standards. Around the world, road crashes kill an estimated 1.3 million people each year and injure up to 50 million. There, automakers — including U.S. and European companies — routinely sell cars without many of the basic safety protections that are standard here at home. Often, they are sold without airbags or electronic stability systems, and they are not capable of protecting passengers in crashes above 35 m.p.h. The result: An awful lot of people are being killed in crashes that, in the U.S. and Europe, they would likely survive. Consider the Chevy Spark. It’s among the best-selling cars in Mexico, yet it received a safety rating of zero out of a possible five stars, based on test crashes carried out last year by the Latin New Car Assessment Program, which is funded in part by Bloomberg Philanthropies. Of the 10 top-selling car models in Mexico, at least four have safety ratings of zero stars. It reminds us of the 2009 publication of “only the super-rich can save us” by Ralph Nader that called for more involvement of the wealthy. But I believe we also need to do more and better at saving lives from vehicle violence here in the U.S.A. today. All as we approach our 4 millionth vehicle death in the U.S.A. today. Legal Reader has published an article thanking Joan for her work saving lives that continues to this day and will continue to save lives far into the future. The article mentions only some of the highlights of her achievements. Countless people and families saved from tragic deaths and injuries may not know how much thanks they owe to her hard and great work for decades. But those of us who do know at least some of her efforts, leadership, and achievements are obliged to say “Thank You!” to Joan. Her work will continue to save lives far into the future because thanks to Joan, Ralph Nader, Clarence Ditlow and many others the world of auto safety has been changed for the better forevermore.